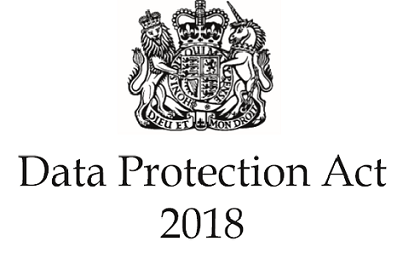 The Data Protection Act 2018, enforced on 25th May 2018 has some important enhancements over the previous legislation. In this post eNacyH wants to highlight some of the Offences Relating to Personal Data, namely Chapter 12, Part 6, Section 170. It is an offence for a person knowingly or recklessly..
after obtaining personal data, to retain it without the consent of the person who was the controller in relation to the personal data when it was obtained. It is a defence for a person charged with an offence under subsection (1) to prove that the obtaining, disclosing, procuring or retaining..
in the particular circumstances, was justified as being in the public interest. It is also a defence for a person charged with an offence under subsection (1) to prove that..
in the reasonable belief that in the particular circumstances the obtaining, disclosing, procuring or retaining was justified as being in the public interest. It is an offence for a person to sell personal data if the person obtained the data in circumstances in which an offence under subsection (1) was committed. It is an offence for a person to offer to sell personal data if the person. subsequently obtains the data in such circumstances. For the purposes of subsection (5), an advertisement indicating that personal data is or may be for sale is an offer to sell the data. where there is more than one controller, such references are references to the consent of one or more of them. The supervisory authority for data protection and privacy in the UK, the Information Commissioners Office (ICO) has recently prosecuted individuals under the old legislation (DPA 1998, Section 55), so watch out for future prosecutions under Section 170. Why this post? Well we are afraid to say that clients have needed advice on this matter when employees still think that they can simply retain, purloin or otherwise obtain personal data from their employer prior to leaving and then use the personal data in their new employment, or for other purposes. There is now no ambiguity in this matter, fact, it’s a criminal offence! eNacyH ensures that this topic is covered fully in their training offerings; to ensure employees, contractors and any other bodies processing personal data under the authority of the data controller are left in no doubt about it.